Hi and welcome to my website. 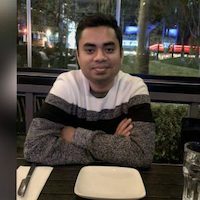 I am a Software Development Engineer at Amazon. I love working on large scale, distributed and complicated systems, organic or algorithmic. I live in Vancouver, CA with my wife and enjoy travelling, food and photography (, ). This website is a collection of stuff that interests me, things I have worked on and everything else that’s worth putting on the WWW. Enjoy!